My Dad’s been sending emails to his kids and grandkids recently. Well, he’s been sending emails for years, but now, somehow, it’s different. He’s 95 years old, and he’s been reflecting a lot on his life lately. He’s retelling stories, remembering people he loved who are gone now, wondering about the future, what heaven will be like. In all of it, he’s trying to tell us what’s important to him. What’s important about life. He’s showing us what he believes is worth holding onto, and what to let go. I thought of my Dad when I heard about John McCain’s new book coming out – reflections and exhortations from someone late in life who knows he is going to die, and who wants to offer what wisdom he has to those who will keep living. Paul’s letter to the Philippians is like my Dad’s emails, I think. Its genre is significant – it’s not a Gospel about Jesus’ life, or poetry like the Psalms, or history or philosophy or law – but a letter, and a personal one at that. Not a generic, “Dear Christian” or “Dear citizen.” This is to Paul’s dearly beloved friends – his brothers and sisters in Christ – in Philippi. Even from a distance, it is intimate. 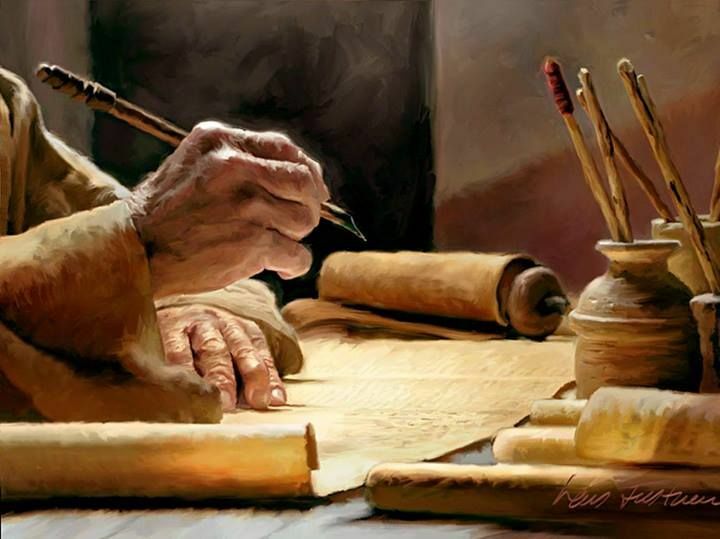 Paul needed to write letters if he was to stay attached to any of his congregations. He was never in one place for that long. His life’s work was traveling from city to city, preaching the good news of Christ Jesus and starting small Christian communities wherever he could; the longest he stayed anywhere was a little over two years. The letters he wrote were the way he kept in touch, but even more, how he helped form these communities from afar. When he wrote, he was trying to encourage, embolden, correct, and shape them into the body of Christ. Of course the letters are theological, and yes, they are full of wisdom, but more than anything, they are personal, speaking to the needs and problems and worries of each particular community. This one – this letter to the Philippians – holds a special place in my heart. Of all Paul’s letters, it is my favorite. It’s just so warm and tender and beautiful. The reason is simple: Paul holds a special place in his heart for this little community of Christians. But what also makes this letter so powerful is that Paul is writing from prison. He was thrown in jail more than once, for stirring up trouble, for preaching the Gospel, for challenging local norms and expectations. In fact, he died in prison. I think of the power of other famous letters written by Christian leaders from jail: the Rev. Dr. Martin Luther King’s letter from the Birmingham jail, or German pastor Dietrich Bonhoeffer smuggling out letters from one of Hitler’s prisons. These men were in an incredibly vulnerable position, and yet they wrote as though they had nothing to lose. They spoke their minds and witnessed to their faith with the conviction of those who had been tested by fire. Paul’s letter from prison has that same kind of force. He’s come to understand his imprisonment not as an impediment to the Gospel but in service to it. He doesn’t fight what’s happening to him but sees what good is coming out of it; that his circumstances and faith are a witness to the Good News in spite of what his captors had hoped. And he offers encouragement to the Philippians who under siege as well. He writes with the credibility of someone who knows suffering. He writes as one who has nothing to lose, with humility and candor and courage. Ironically, surprisingly, what Paul writes about more than anything else in this letter is - joy. He writes with joy, about joy, wanting them to have joy as well. It’s the paradox at the heart of the Gospel of Christ. One of the challenges for the early church was how to understand – and explain – how a servant of the Gospel like Paul could be subject to such humiliation and persecution and shame. It was the same challenge as the crucifixion itself. If Jesus were God’s Son, how could that torment happen to him? If Paul were God’s servant, why would he suffer so much? If these people are blessed, are God’s beloved, what does ‘blessing’ or ‘God’s love’ even mean? In societies primitive or advanced there is a widespread belief that there is a direct correlation between the kind of person you are and what happens to you. In fact, it is quite popular in some circles to promote faith in God as the key to health and prosperity. Honestly, unbelievers might well wonder, if this is what happens to the faithful, what is the point of being a Christian? Why would anyone sign up for that? Especially in a culture where the bottom line question is always, what’s in it for me? Those are good questions, and we shouldn’t take them too lightly. Paul doesn’t take them lightly; he takes them head-on. It is, more than anything, she says, “an explanation for the problem of evil. Why do some people get healed and some people don’t?... Why do some babies die in their cribs and some bitter souls live to see their great-grandchildren? The prosperity gospel looks at the world as it is and promises a solution. It guarantees that faith will always make a way. It’s what we all crave, isn’t it? It’s what we all want. It’s what I want. But it’s not what everyone gets. So how do you explain it? Are some people just not faithful enough? Good enough? Repentant enough? Pious enough? Kate’s an expert in these kinds of questions. But she’s an expert in a different way now. See, she was recently diagnosed with stage-4 colon cancer. She’s in her thirties, a young mom, and is looking at her husband and child and wondering when she will leave them. Suddenly it’s not theoretical. In his letter to the Philippians, Paul offers a different way of seeing his suffering, and theirs. He offers it as encouragement to others. Not as a command, not as a directive, not as yet another law about how they should feel. He offers it as something he has found to be real, and powerful, and full of joy. As Craddock writes, “In circumstances which could understandably breed doubt, despair, even bitterness, Paul… is grateful.” Among many things, he is grateful for the Philippians themselves. They have shared everything with him: money, suffering, work, grace. He is not alone. He shares his life with them – and he lives his life in Christ.